Treat your skin to the travel-sized BARBER PRO Winter Skin Set. Suitable for all skin types, the kit combines three of the brand's award-winning face and eye masks equipping you with everything you need for a fresher, clearer appearance whilst on the go. A self-foaming mask that rids skin of dirt, oil and impurities. 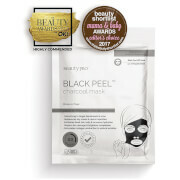 Sitting closely to the contours of the lower face, the face mask is effortless to use. Simply apply to skin and the sheet will bubble to create a micro-massage for the visage. Soaked in Activated Charcoal and a rich AHA Complex, the cleansing mask detoxifies the complexion, which is ideal for refining pores and reducing excess oil on acne-prone skin. 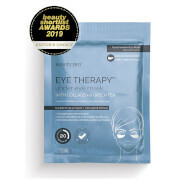 The treatment works in just 10 minutes, peeling away to reveal clarified skin that is visibly firm, refreshed and clear.